These days, most of the skills kids are learning involve their thumbs and an Xbox 360 controller or a mobile phone. Alexis and I met the JR Grillers Cooking Team when they were participating in the KCBS BBQ competition in May and we were impressed with the kids. 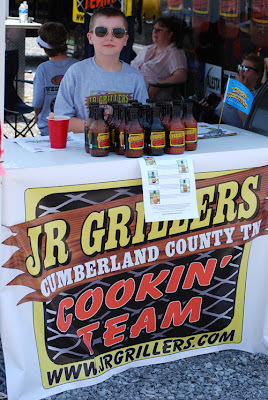 Not only were they out there competing against adult teams, they were also selling their jarred sauces and marinades. That is where we met the precocious salesman, Tim. Dude knows how to sell. Don't let his size fool you. 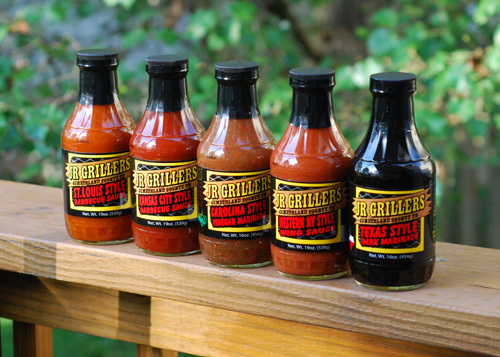 Tim was able to discuss the various products in detail as we sampled the JR Grillers wares. He wasn't just reciting something he had memorized, he talked about the product from experience. His favorite of the five sauces was the St. Louis style BBQ sauce, one that he helped develop. Each team member will participate in every aspect of kitchen operation from cooker design and assembly to implementing travel, multi-tasking serving lines, cutting/identifying meat cuts, cooking/grilling, understanding spices, food chemistry, mixing/weighing, blending rubs, marinades, sauces, glazes, along with creating an image or brand through social media marketing. The team did well in the competition. JR Grillers even took Second Place in “Sauces”. Excuse the photo, I had a bad point of view for the awards ceremony. How effective was Tim as a salesman? Instead of choosing just one, we bought one of all five! 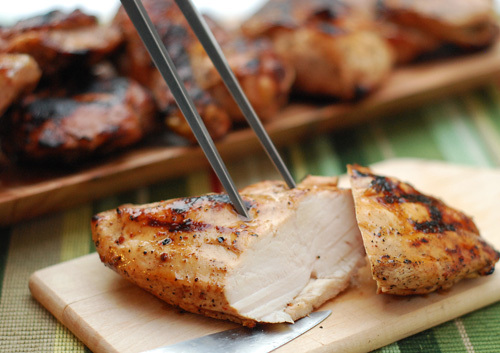 Tonight I used the Carolina Style Vinegar Marinade. 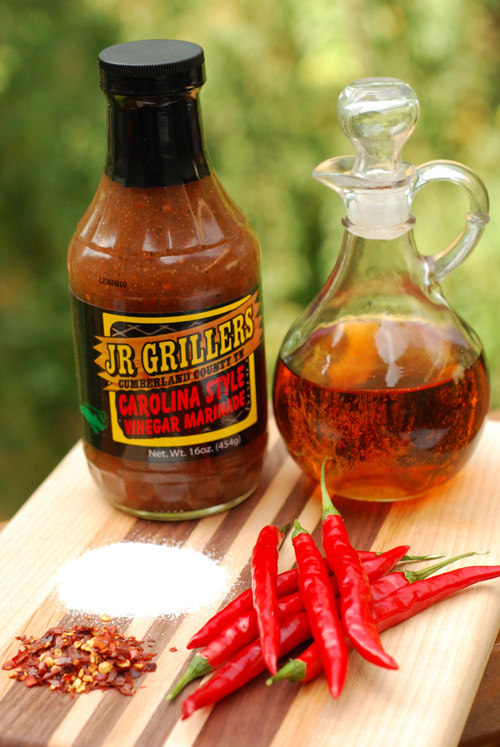 Like any good Carolina sauce, it's vinegar, peppers, sugar and a few other ingredients. I marinated a cut up chicken for about 4 hours and then grilled it on the Big Green Egg at 350f for about 26-30 minutes (I temp checked each piece so they came off at different times). 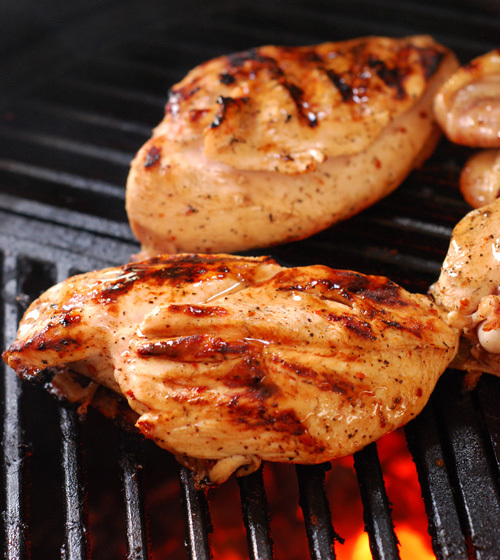 The tang of the marinade made my mouth water. Sure Carolina style is normally for pork but the blend of vinegar, peppers and seasonings really isn't too different from a vinaigrette which is a fantastic chicken marinade. 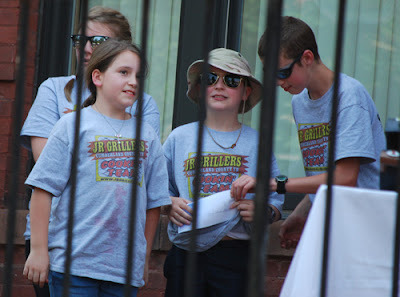 The crew at JR Grillers did well! I'd be happy with this sauce if I had made it. I am very impressed with these kids and not just with their product. Speaking with them, you know there is something different about them. They remind me of the kids at the martial arts school I attend. They are outgoing and confident in speaking with adults. I think that is proof that JrSkills is a worthy concept and I hope it spreads across the country. Check out their website. They don't have an online store just yet but are working on it. If you contact them via email they can handle orders and accept Visa and Mastercard. [Standard Disclaimer] We paid full retail and have no affiliation with JrSkills.